The Blackstone Valley Art Association is the proud hosting location for Pamela White Murphy’s Artist Palette Student Show in 2018! 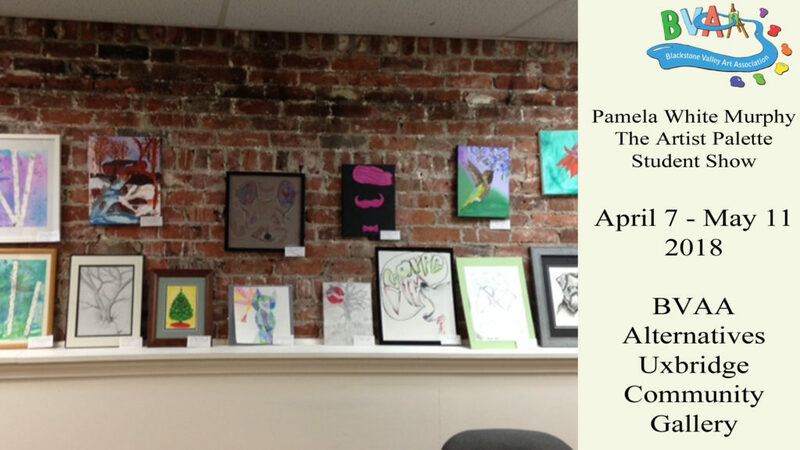 The show, “Pamela’s Picassos”, celebrates the works of her students. This is her 10th annual show! The opening reception for this show is Friday, April 13th from 4-7pm. All are welcome!